Great results start by picking the right influencers. 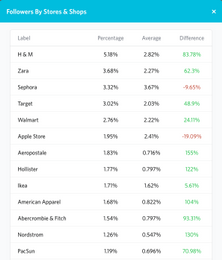 We manually research & vet every influencer listed on Julius for your brand’s safety. Need a vegan foodie influencer living within 10 miles of Barcelona who loves pugs, supports women’s rights, reads Harry Potter, isn’t politically outspoken, and mentioned Zara’s last month? We have search filters for that. 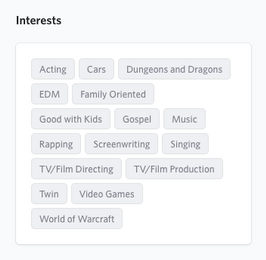 Oh, and you need that influencer to reach people living in Dublin who are 18-24 and are into electronic music? Yup, we have filters for that too. Wait, you also need them to have at least a 2% ER on Instagram with 35,000 followers? We’ve got you covered. Filter away! Does an influencer seem like a good culture fit but you aren’t sure they line up with your target demographic? 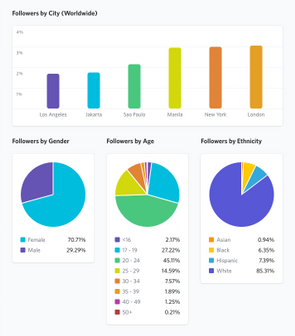 We provide enhanced insights on influencers’ audiences from age and income to location, interests, and brand affinities. The top challenge for marketers after identifying influencers is managing them. 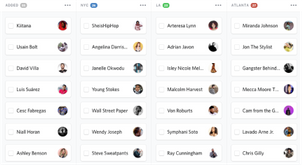 With Julius, you can now store notes on influencers, provide better transparency across your organization, and streamline campaign workflow. 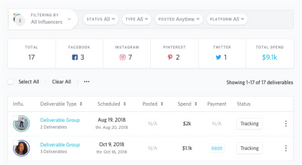 Gain proprietary insights into an influencer’s work with your company with our notes, activity, and custom tag features. Easily see which colleague is in communication with an influencer, notes your colleagues have on an influencers, and/or add your own tags to an influencers profile so they appear in a custom search (shoe size 8, blacklisted, etc). 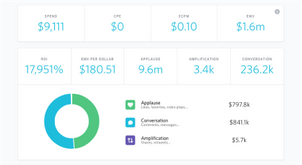 Activate your campaign in a few steps with our easy-to-use influencer management workflow. 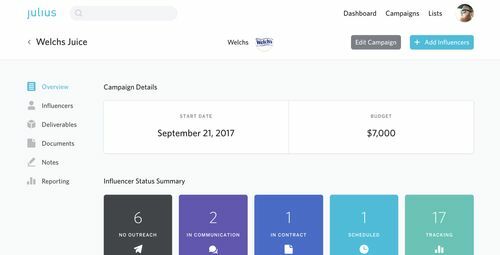 Vet, compare and contact influencers, set-up deliverables, store documents, contract, and track influencer status all in one place. 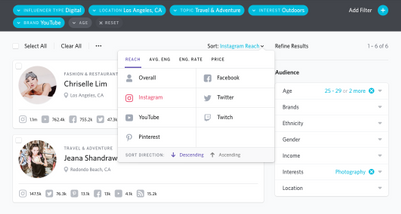 Julius auto-detects when an influencer posts using your specified campaign # or mention. 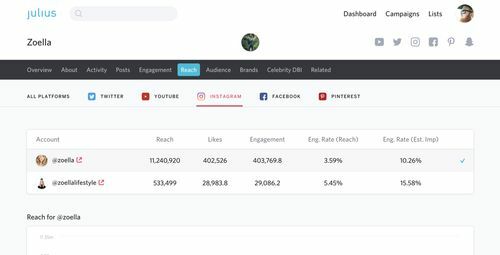 See how your campaign is performing in real-time and dive into platform, influencer, and/or post performance for detailed insights. 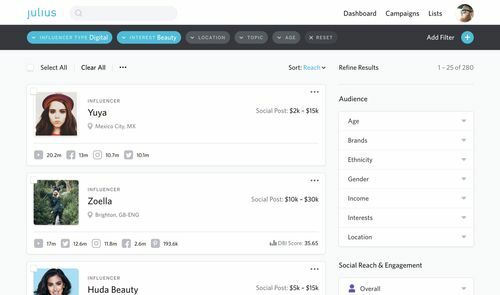 Ready To Streamline Your Influencer Marketing Efforts? Don‘t worry if you’re a little confused or even wondering if you need influencer marketing, this is all fairly new! Our blog and podcast will have you up to speed in no time.